Curious about the latest Windows 8.1 Update Microsoft Announces Windows 8.1 Update And Cortana Personal Assistant Microsoft Announces Windows 8.1 Update And Cortana Personal Assistant Windows Phone 8.1 gets a new personal assistant named after the Halo franchise's Cortana and a Windows 8.1 Update with a lot of minor changes to improve the experience for mouse and keyboard users. Read More or not sure what this is about? KB2919355 is a cumulative set of important updates and new features, delivered via Windows Update. If you want to keep your system up to date and secure 3 Reasons Why You Should Be Running The Latest Windows Security Patches & Updates 3 Reasons Why You Should Be Running The Latest Windows Security Patches & Updates The code that makes up the Windows operating system contains security loop holes, errors, incompatibilities, or outdated software elements. In short, Windows isn't perfect, we all know that. Security patches and updates fix the vulnerabilities... Read More , you should apply this update. And you may appreciate some of its novelties. Microsoft is rolling out the Windows 8.1 Update via automatic updates over the next weeks. If you want to be ahead of the curve, you can manually install KB2919355 right now. Or maybe you were one of the first people to receive it automatically and it’s already installed. How Do I Know Whether Windows 8.1 Update Is Already Installed Or Not? Microsoft released Windows 8.1 Update on April 8th and has been rolling it out via Windows Update. If you enabled automatic updates Windows Update: Everything You Need to Know Windows Update: Everything You Need to Know Is Windows Update enabled on your PC? Windows Update protects you from security vulnerabilities by keeping Windows, Internet Explorer, and Microsoft Office up-to-date with the latest security patches and bug fixes. Read More , your system might be up to date already. To be sure, check your Start screen and look for the Search button in the top right, next to your account name. If you see it, you are running the latest Update. What Is Windows 8.1 Update About? Among security updates and the latest drivers, this update also comes with new features and software. The key objective of the update is to make Windows 8.1 more convenient for all its users, whether they’re on a desktop or a mobile device. The updated Windows 8.1 will selectively cater features to users, based on what type of device they are using. Ars Technica reports that these device-sensitive features are not without fault, yet. Fortunately, it’s possible to customize them. Do I have To Install Windows 8.1 Update? Yes! If you are already running Windows 8.1 and skip this update, Microsoft will eventually stop issuing security patches and other updates, meaning your system will be increasingly insecure. Interestingly, Windows 8 will continue receiving updates until January 12, 2016. 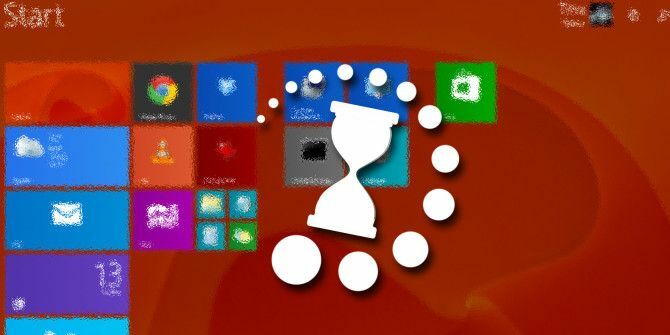 So if you have been unsure about upgrading to Windows 8.1, you can wait a little longer. How Can I Manually Install Windows 8.1 Update? Assuming you already upgraded to Windows 8.1 How To Safely Upgrade To Windows 8.1 How To Safely Upgrade To Windows 8.1 Are horror stories of how Windows 8.1 upgrades went horribly wrong keeping you from upgrading yourself? If you are longing to try Windows 8.1, you can now learn from other people's lessons and upgrade safely! Read More , you need to apply other important updates before you’ll be shown KB2919355, aka Windows 8.1 Update. This will take some time and you will need to reboot your computer. Open the Charms bar, go to Settings, and click Change PC settings in the bottom right. Open Update and recovery and in the Windows Update tab, click the Check now button, and proceed to install all due updates. You will have to reboot your computer, wait for updates to be installed, and you might have to repeat this process if you have not installed updates for a while. The size is a good indicator of whether or not the update contains KB2919355, which is around 880 MB large. To manually initiate the installation, click View details, look for KB2919355, select it, and click Install. Downloading and installing this update can take a significant amount of time; you should calculate at least one hour. If the update fails to install, maybe you didn’t have enough disk space available and need to free up space 6 Ways to Free Up Space on Your Windows Computer 6 Ways to Free Up Space on Your Windows Computer Clutter can be a big downer on productivity. 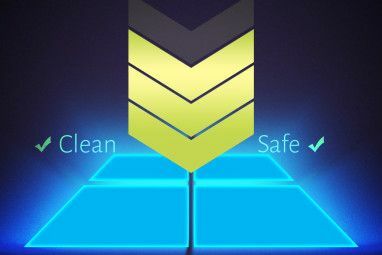 Over time, files get lost, programs go unused, and suddenly, your once spacious hard drive is packed with useless things and you have to clean it up.... Read More first. Is It Possible To Remove Windows 8.1 Update? Yes! Downgrading from Windows 8.1 to Windows 8 How To Upgrade To Windows 8.1 & How To Downgrade Back To Windows 8 How To Upgrade To Windows 8.1 & How To Downgrade Back To Windows 8 The Windows 8.1 update is free, easy, and gives you access to new and improved features. It is, however, impossible to simply downgrade to Windows 8, unless you plan to before updating. Let us show... Read More was impossible, unless you made a full system backup. But since Windows 8.1 Update is delived via Windows Update, it’s easily removed via the Windows Control Panel. Open the Charms bar, go to Settings, click Change PC settings in the bottom right, click Control Panel in the bottom left, go to Programs, and under Programs and Features click View installed updates. Select the update you want to remove and click the Uninstall button. Windows 8.1 Update Isn’t Installing Or Has Caused Issues, What Can I Do? Do you have enough disk space available for the several hundred MB update? 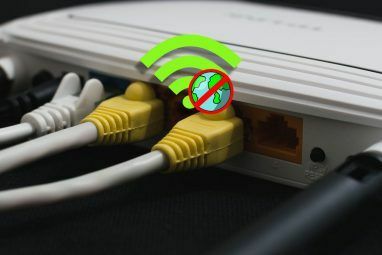 Have you connected your computer to the Internet via a LAN cable for better bandwidth and download speeds? We cannot cover all possible issues here and we are also not able to provide tech support in response to this article. You can, however, post your issue in the Microsoft Community or ask for help on MakeUseOf Answers. I updated as soon as I had some time to sit down and let the computer do its thing. So far, I’m enjoying the new features. How did your update go and what do you think about the new features? Explore more about: Software Updater, Windows 8, Windows 8.1. 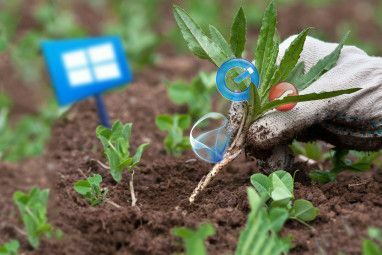 Samsung Delays Galaxy Fold Launch Citing Need For “Further Improvements”Windows XP Running Your ATM Or Ticket Machine? Time To Buy Online! I am amazed at how the updates are always sold as "security" - just how INSECURE was it in the first place? MS has been writing operating system software forever and still comes out with INSECURE software which needs to be updated regularly??? I believe that "security" is not the issue. It has to do with tracking, tracking key stokes, and setting Opsys to serve the new modality: "renting" software rather than buying it. JAMES - If you're so unhappy with Microsoft, perhaps an Apple product would suit you better. Many people believe Apple's stuff has better security. You'll probably pay more, and Apple will take a learning curve to get started. I don't agree with your complaints & I have some pet peeves about Apple products, but it's worth considering. Ever since my win 8 got upgraded to 8.1 , it has wrought havoc WITH MY lAPTOP (bRAND nEW) .None of the Apps work .They ask you to register with microsoft account and after going through verifications and clicking " i get the following message," We're sorry,but something went wrong .Your account was'nt changed to this microsoft Account. Error Code oxd00000bb". i don.t know hot roll back to original windows 8 , as I am not a programmer, just an user.Kindly suggest a remedy. Bhushan, as mentioned in the article, you cannot roll back from Windows 8 to Windows 8.1. The only way to go back to Windows 8 is to re-install it or restore from a complete system backup, if you performed one. Sorry! Concur with Stijn that this update to Win 8.1 basically deals with virtually all (or most all) of the frustrating issues I had with 8 and then 8.1. Really, I think it's not bad at all to have the functionality (mostly) of Win 7 and the touch features of Start, the Modern Apps and the tiles. Okay I have one problem... I have a hp pavilion g6 laptop running windows 8.1, After installing this update I got a BSOD error and ultimately had to run the machine in safe mode in order to uninstall this update. I've tried it twice and both times the same thing happened. Why is this so ? A BSOD typically hints to a hardware issue. Maybe the Update caused a driver conflict? Were you able to catch the error description and name? That could give you a hint. You can also check the Windows Event Log to figure out what caused the crash. I recommend posting the results of your queries (in case they don't help you solve the issue) to the Microsoft Community or MakeUseOf Answers for further support. I'm also wondering why they stop calling it service pack? Is it not important enough to be considered as a service pack, but simply overexposed? Ha! Sorry for the confusion, Paul. The title probably should have been clearer. Apologies for that! The name of the update / service pack **is** confusing. Some media actually call it *Update 1* (kinda like SP1), but Microsoft finally went with the name *Update*, which is plain weird. The power bar thing...man that took a long time. I ended up Googling how to shut down Windows...entering settings wasn't exactly intuitive. I guess it wasn't meant to be intuitive to turn Windows off. They basically didn't think of desktop users when they developed this OS and mobile users tend to keep the device running or use a hardware button to toggle turning on/off. Apparently, the massive backlash taught them they were too much ahead of the curve / their users, which they are now fixing bit by bit. I didn't like windows 8, but have learned to live with windows 8.1. Since this latest update, I can't believe microsoft would go back a step back to the 'classic' windows. It has a learning curve, but once you get the hang of it, it's a pretty neat OS. On the sofa in tablet mode; or as a working machine in desktop mode. Great update to have. Helps mouse users. Fantastic. This got rid of almost every problem I had with Windows 8. The only thing I can really think of that I wish they would change is to let me make the taskbar 100% opaque. Nice update for mouse and touch pad users.. I have the 8.1 update. Haven't been able to figure out how to close some Apps or programs directly. Have to go to Lower Left-Start Screeen, then to Upper Left and Right click for "Close, then Left click to close. With a App open and using a mouse you can go to the top of your screen and a bar will lower that has the X and a minimize icon for use. If you are using touch only this bar will not appear and you drag from top to bottom to close the App as before. To easily close any and all apps simply position your mouse pointer at the very top if the screen of the app you want to close. Once your pointer or arrow hits the top iy will change shapes. It will become the shape of a hand. Take your left mouse button, grasp thr top of the page and pull in a downward motion. This action will close ALL APPS. Thank you both for your for your information. Your replies both explain why everything shut down when I tried to move a window down, a bit carelessly. Looks like the mouse is still useful. Improved disc space management tool... Hell yes!